Save the date! 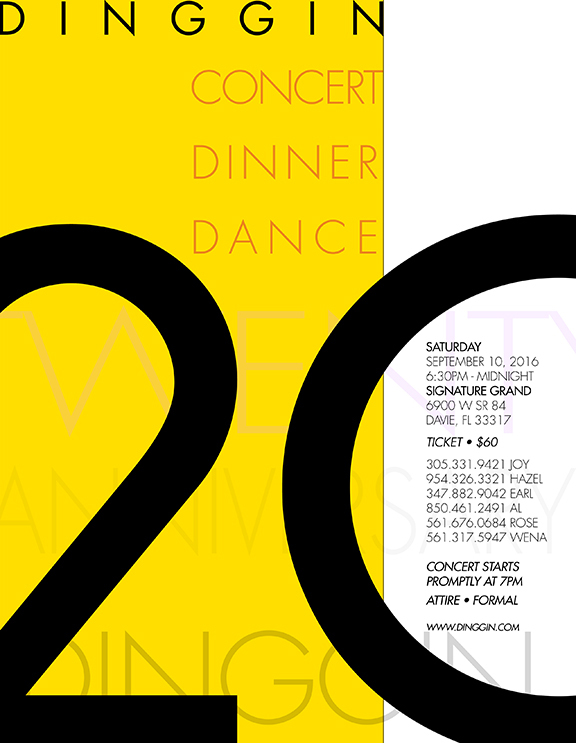 We are turning 20! 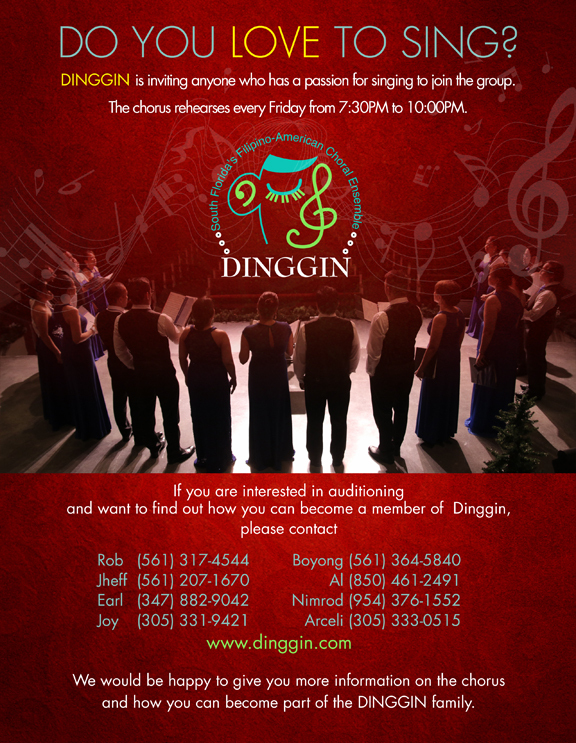 DINGGIN is a Filipino-American choral group formed as a non-profit organization in 1996. Its unique mission is to promote cultural appreciation and spiritual enlightenment through music. It has a membership that is spread throughout the tri-county area of South Florida. Dinggin CD is still available to order. Pls click on the image. Copyright © 2012 Dinggin. Simple theme. Powered by Blogger.